Known as the “Mexican Weegee,” he took more than 14,000 photographs over a period of forty years. Born in 1934 in Mexico City, Mexico. Lives in Mexico City, Mexico. At the age of twelve, self-taught photographer Enrique Metinides began documenting monuments, streets, and traffic accidents, beginning a career that would make him the dean of the crime beat in Mexican photojournalism. 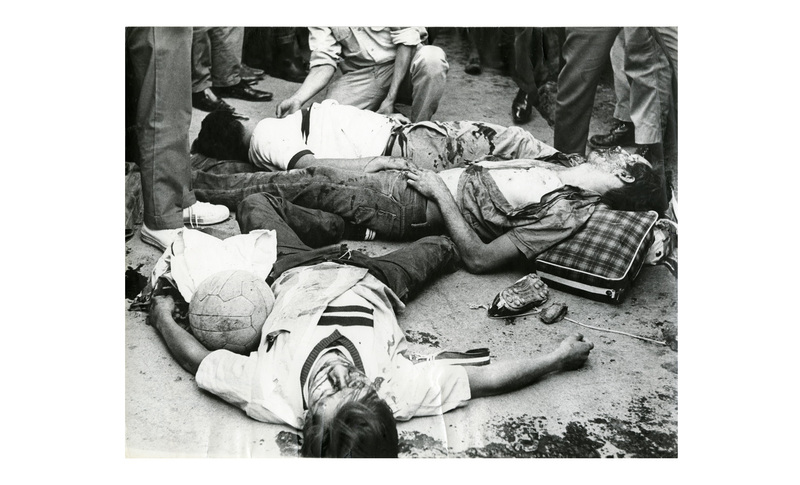 In his early years, he captured images of corpses and criminals in the Seventh Precinct of the Santa María de la Ribera neighborhood of Mexico City. In 1948, he began to contribute to the crime section of La Prensa and continued to work with the newspaper until 1996. As a Red Cross volunteer, he was able to scoop all the most tragic news events in the city. His work has been shown in numerous group exhibitions in Mexico, and at MoMA PS1 in New York, PHotoEspaña, the San Francisco Museum of Modern Art, and the Walker Art Center in Minneapolis, as well as in solo shows at the Anton Kern Gallery in New York and Blum and Poe in Los Angeles.